Dosimeter Service Certificate of Compliance has been obtained. 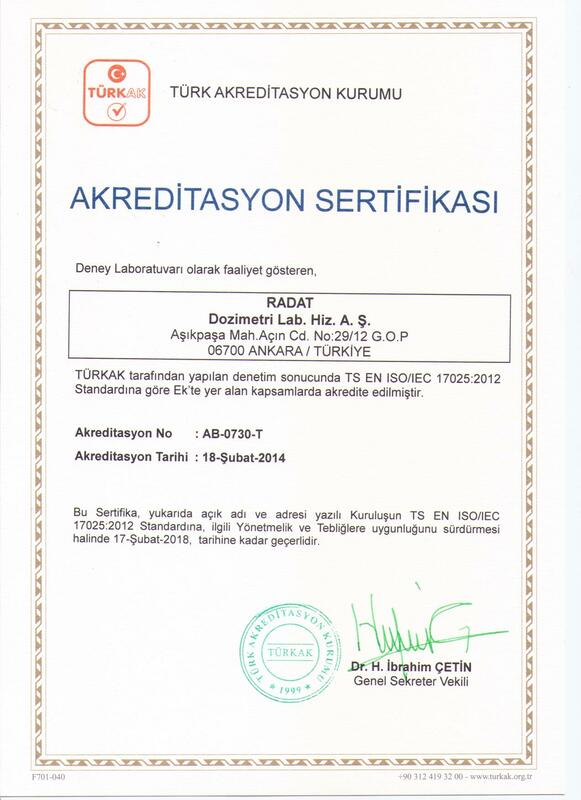 TS EN ISO / IEC 17025 accreditation certificate has been obtained. Our Blind Test participation has been successfully concluded. Radat Dosimetry Laboratory has successfully renewed ISO 17025 dosimeter accreditation certificate for the Eye (Lens) field and has broken new ground for the first laboratory in this field. Our trainings have been continue. 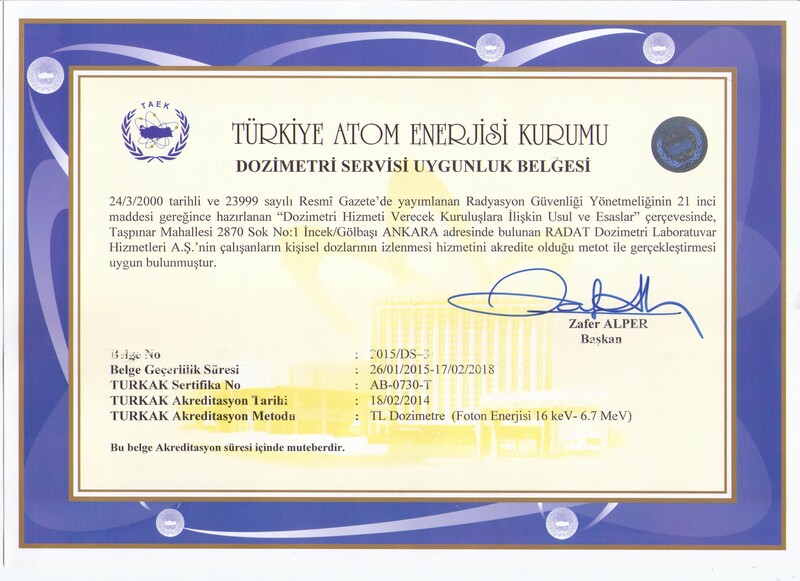 Radat Dosimetry Laboratory has successfully passed the 2014 international comparison tests of whole body dosimeters coordinated by EURADOS and has obtained the certificate. Radat Dosimetry Laboratory has successfully passed the 2015 international comparison tests of extremity (ring and wrist) body dosimeters coordinated by EURADOS and has obtained the certificate. 70% of the World prefers TL Dosimeter technology and also the best suitability for the academic researchs, absence of the sensitivity to the light in TL technology rather than the OSL technology is the biggest evidence. For Radiation personals/workers eye annual equivalent dose limit value is 20 mSv. One of the most sensitive element MCP-N (LiF: Mg, Cu, P) is prefered at eye(lens) dose measurement. High Radiation source activities and X-ray energies in radiation field when taken into account, effective dose measurement is very important. RADAT Dozimetri Laboratuvar Hizmetleri A.Ş. © RADAT. Tüm Hakları Saklıdır.